After you've got some kanji knowledge under your belt (about level 10 or 20 in WaniKani), it's time to pick up a textbook and start learning the framework in which you can use all the Japanese you've learned. But which textbook to choose? There are so many. And beyond textbooks, there is a wealth of reference books, dictionaries, and other things that expand on your textbook's lessons. And you'll need those to reach intermediate and beyond. We've compiled a list of the best Japanese textbooks out there to solve this exact problem. Stop spending time searching and start studying. We won't mention these features in the reviews below, unless there's something noteworthy to say about them. Also, we won't be talking much about the kanji learning these textbooks offer. For the most part, Japanese grammar textbooks teach kanji slowly (and sometimes poorly). If you're following our path to Japanese fluency, you'll already know upwards of 650 kanji from your WaniKani lessons at level 20. 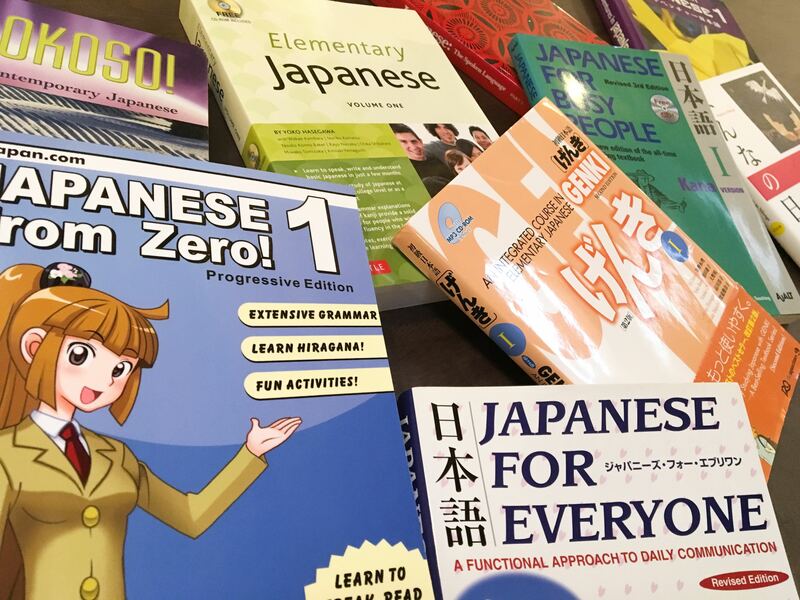 With so much kanji packed in your brain, not only will these textbooks be much easier to use, but you'll be able to skip the kanji lessons and use that time to move your Japanese ability forward in other ways. 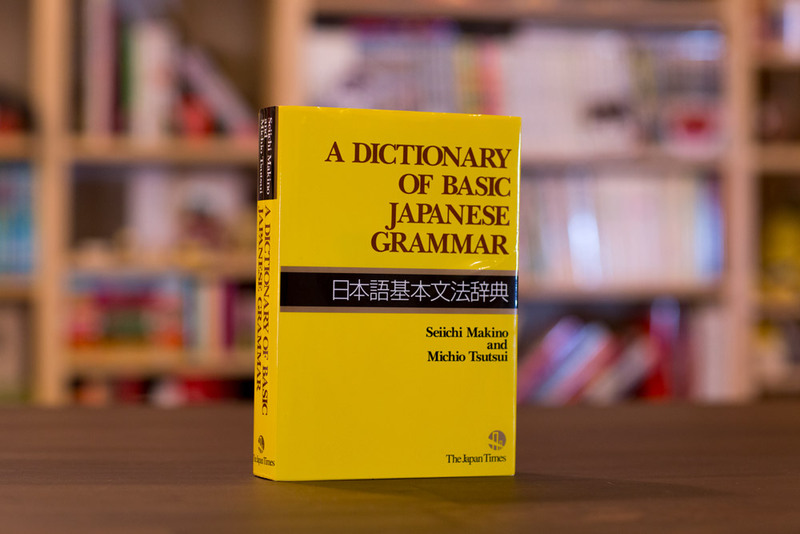 To get a decent handle on the structure of Japanese, you need a solid textbook (or the equivalent) to explain grammar concepts, provide practice exercises, and introduce material that's only +1 above your current ability level. Below is a list of our favorite textbooks; the ones we feel are the best books for beginners to learn Japanese. Genki is not only the favorite of Japanese classes the world over, it's one of our favorites too (so much, we wrote a full review). 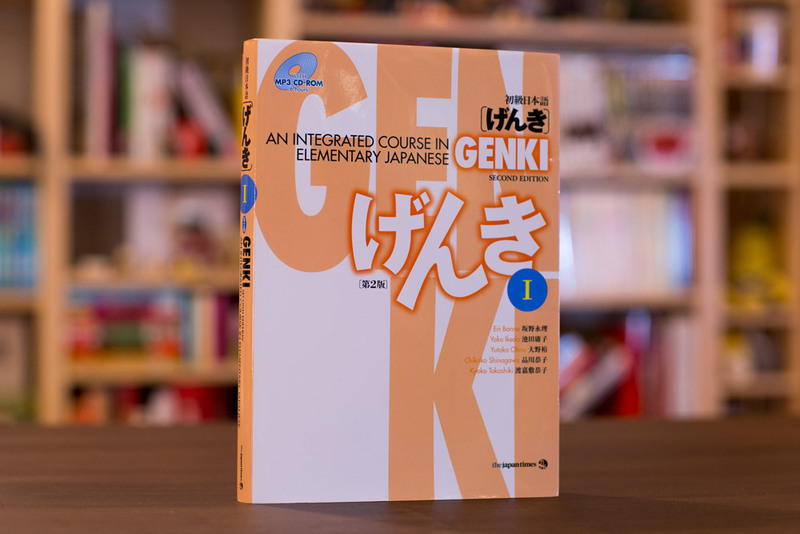 A perfect starting point for beginners, Genki has an easy-to-follow lesson structure that begins with dialogues using target vocabulary and grammar, which are then taught more clearly in the succinct and easy-to-understand lessons. The difficulty of each lesson scaffolds gradually, so you won't feel the material is too far above your head. The exercises, audio CDs, and workbook match the high quality of the textbook and reinforce what you're learning through variety and repetition. Genki was designed for classrooms, so if you're a self-learner, keep in mind the material may need to be modified for your situation. Also, this means most of the terminology and dialogue is aimed at the college demographic. All in all, Genki is a fantastic series and going through both books will give you the foundation you need to start intermediate studies. The two book system isn't "bad," necessarily. Studying with the main, all-Japanese textbook will force you to figure things out through context and use your brain a little more. If you're a complete beginner, Minna no Nihongo will present a significant challenge: it's all in Japanese. And we don't mean "there's no romaji," the entire book is in Japanese. You need a separate "translation book" in English to study properly. The two book system isn't "bad," necessarily. Studying with the main, all-Japanese textbook will force you to figure things out through context and use your brain a little more. You can always check the translation book for grammar explanations when you get stuck. Minna no Nihongo is very in-depth too. It covers a lot of material and uses complex terms to teach grammar points. It even explains pitch accents with new grammar you learn! This is great because pitch accent should be learned early but few textbooks cover it. Upon completing the first Minna no Nihongo, you'll know more than if you'd studied Genki I. If you're more academic and want to learn as much as possible, this is a great option for you because you can take your time and soak in the knowledge. If you hit a roadblock, a tutor or language partner would work well with this textbook. What sets Yookoso! apart is the grammar explanations. They're academic and brief to the point of being a little unclear. But there are a lot of example sentences, tables, and other material to flesh out target concepts. It's like Yookoso! quickly explains how to swim then pushes you into the pool. This focus on example sentences is a great way to get a feel for Japanese in its native habitat and will give you a strong collocation background. Though short, the grammar explanations do a fine job of teaching you the nuts and bolts of the language, breaking down the rules so the example sentences do you a lot of good. Yookoso! teaches a lot, so if you stick with it you'll come away with knowledge you can wield confidently. 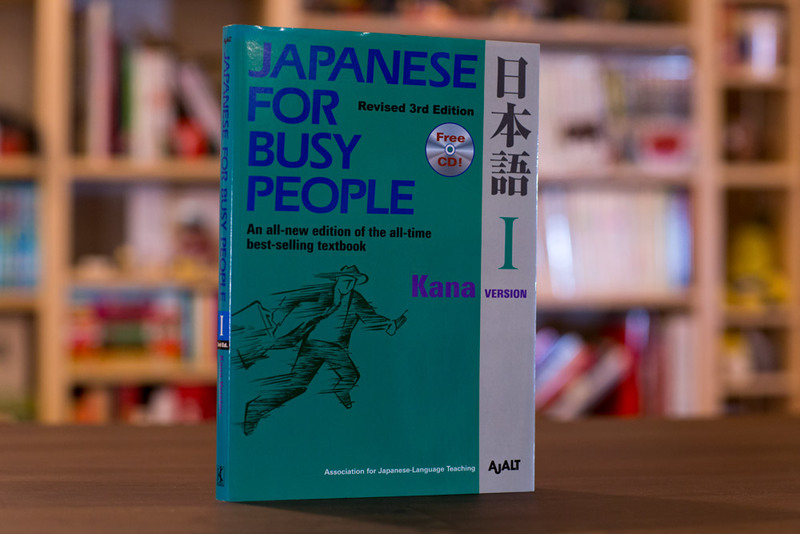 The title, Japanese for Busy People, may sound like it's aimed at you, the busy student with so much on their plate. However, Japanese for Business People might be a more suitable name, because it's aimed at career professionals, not students. As long as you get the Kana Version of this textbook (there is an all-romaji version), you'll learn some valuable things. Each chapter introduces target grammar and vocab gradually, so it's never dumped on you all at once. And at the end of each chapter, there's a quiz you can use to self-evaluate. The audio CD is included so you get listening and speaking practice too. If you've started your career, the dialogues, being business-y, will be more relevant than classroom-oriented ones found in other textbooks. And unlike Genki, there's an answer key in the back so you can check your work. An interesting quirk: there's no kanji at all in this book. I guess they named it "Kana Version" for a reason. This isn't a huge problem if you're learning your kanji with WaniKani, but it can become irritating to read all kana paragraphs when you're used to kanji. Dialogues are more realistic, less like "classroom talk"
When you get about halfway through, you start to see grammar points or levels of detail that aren't commonly taught in other textbooks, not to mention more natural Japanese in the dialogues. 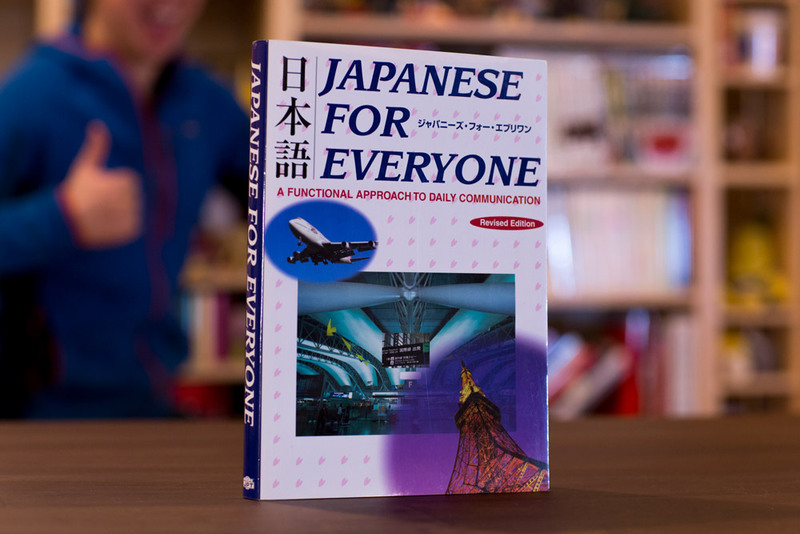 Japanese for Everyone is an inexpensive alternative to Genki. In fact, it covers almost as much as Genki I and II combined for only $29. Unfortunately, there's no audio component, or rather the most recent edition excludes the audio exercises featured in the original printing (though some of the audio is on YouTube). The grammar explanations are minimal, so you'll need outside sources to supplement what you learn. When you get about halfway through, you start to see grammar points or levels of detail that aren't commonly taught in other textbooks, not to mention more natural Japanese in the dialogues. One drawback is that kanji aren't used often in the book itself. Even in the last dialogue, it's mostly kana with some common kanji thrown in. This isn't a big issue since you're learning kanji with WaniKani, but you don't get to practice reading the kanji you do know in the otherwise excellent reading comprehension exercises. Japanese: The Spoken Language was written by two linguistics experts and it shows. The grammar explanations are incredibly deep. Though dense, you'll gain excellent grammar knowledge if you dive in and stick to it. One of the biggest complaints people have against this book is that it's all in romaji. Usually, this would be a concern, but in the case of JSL, the "romaji" is actually a special phonetic script written by the authors. Because this series is pronunciation-based, the phonetic script will give you a better foundation in your Japanese speaking. Japanese: The Spoken Language isn't meant to be used alone. It's a companion to audio materials which you're supposed to practice first. After memorizing the audio, you go to the book for explanation. And the grammar explanations are some of the best and most detailed you can find. The teaching is so high quality that it may be worthwhile to pick up a copy to see if it fits your learning style before you cross it off your list. 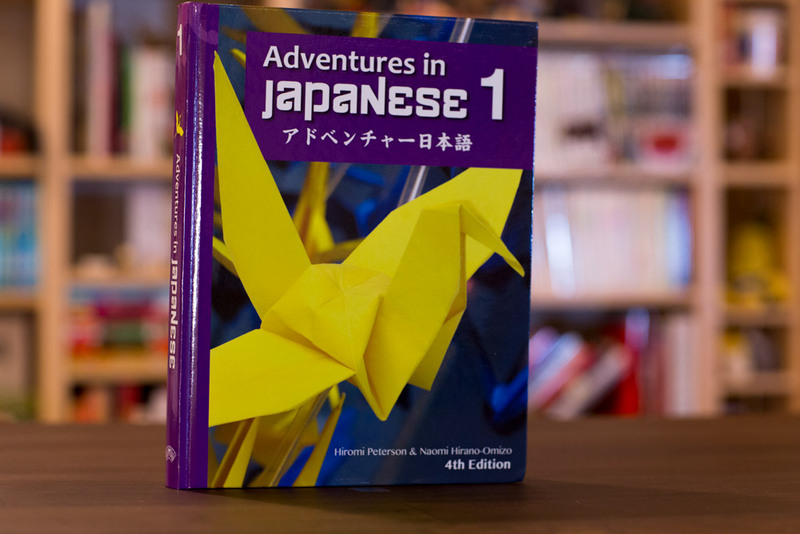 Adventures in Japanese is aimed at junior high and high school learners and as such, the material is not as comprehensive as you might find in other textbooks. That's not necessarily a bad thing. The simple "this = this" explanations enable you to dive into using and understanding Japanese right away. A unique feature of AIJ not found in other books is the lesson review at the end of each chapter. You're given grammar exercises that test your knowledge on key concepts from the chapter and a checklist of things you "can do" with your new knowledge. If you're not passing the review quiz or can't check off an item on the checklist, you know exactly what you need to study before moving on. This is a great barometer for progress and a great selling point for this series. If you search for free Japanese resources online, you're bound to run into Tae Kim's A Guide to Japanese Grammar on his website Tae Kim's Guide to Learning Japanese. It's fairly complete and does a decent job of explaining grammar concepts in a way anyone can understand. Be advised there are two sections to his site; The Grammar Guide and The Complete Guide. The Complete Guide covers most of the same material as The Grammar Guide, but with extras about the written language. Whichever you use, Tae Kim's guides are great considering the amount of information you can learn and they're absolutely free. For self-learners on a budget, this is one of the best values. It's packed with information and teaches it really well. Elementary Japanese is something of a hidden gem. It was written for classrooms and self-learners, so you can use it in a variety of situations. 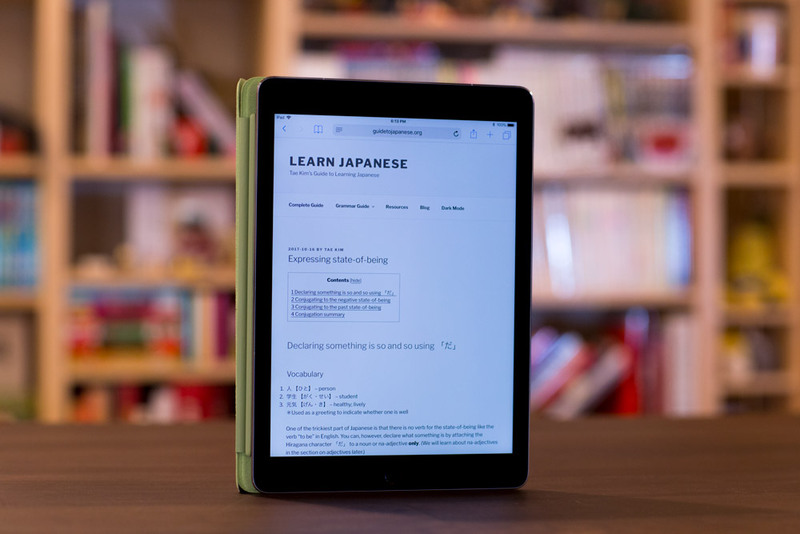 You can practice reading everything you learned from WaniKani, because the kanji has no furigana! But the grammar explanations are the best feature of this textbook. They are thorough, but conversational. You never feel like they've been "dumbed down," yet they're not confusing either. A few drawbacks: romaji sticks around well past page 100 before it's dropped completely. Also, the design is on the plain side, which makes it hard to find the dividing lines between different sections like grammar explanations, dialogues, and exercises. For self-learners on a budget, this is one of the best values. It's packed with information and teaches it really well. And for $30, you won't regret the purchase, even if it doesn't turn out to be your absolute favorite Japanese textbook. Those overwhelmed by Japanese learning may find the pace of the Japanese from Zero! series more relaxing and fun. Though more suitable for kids, we recommend adult learners use these books to get their bearings, then transition to something more age-appropriate. The writing style used in Japanese from Zero! is fun and engaging. Concepts are broken down so they're easy to swallow; a side-effect of which is that the pacing is slow. It takes the entire first book to teach hiragana. Verbs aren't introduced until you've almost reached book two. Instead, you spend a lot of time learning numbers, shapes, colors, and adjectives. There's no audio CD or listening practice, but you can get some free supplments from the accompanying website. We think these are great books for kids and perfectly paced for the younger demographic. But that doesn't mean older learners can't benefit. 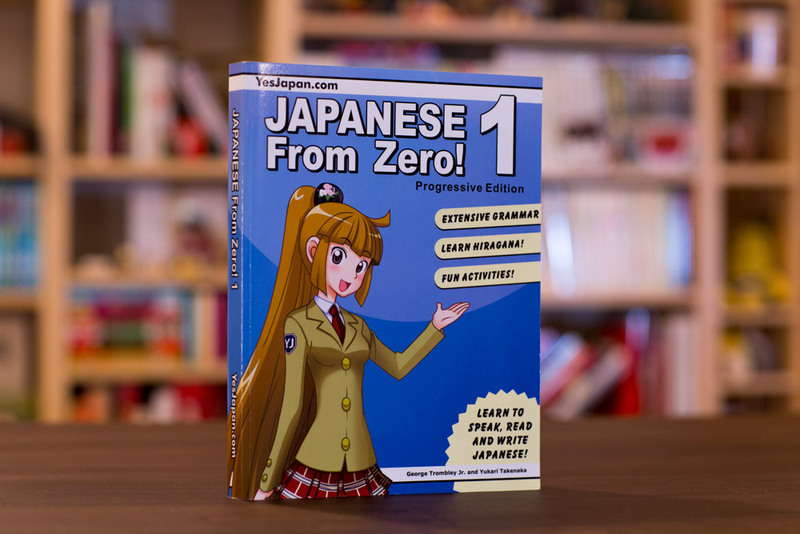 Students who feel intimidated by other textbooks should be able to breeze right through Japanese from Zero! and gain a foundation in Japanese before moving on to something more challenging. Japanese the Manga Way isn't a "textbook" in the traditional sense; it's more of a fun supplement. But it's a very useful, fun supplement. 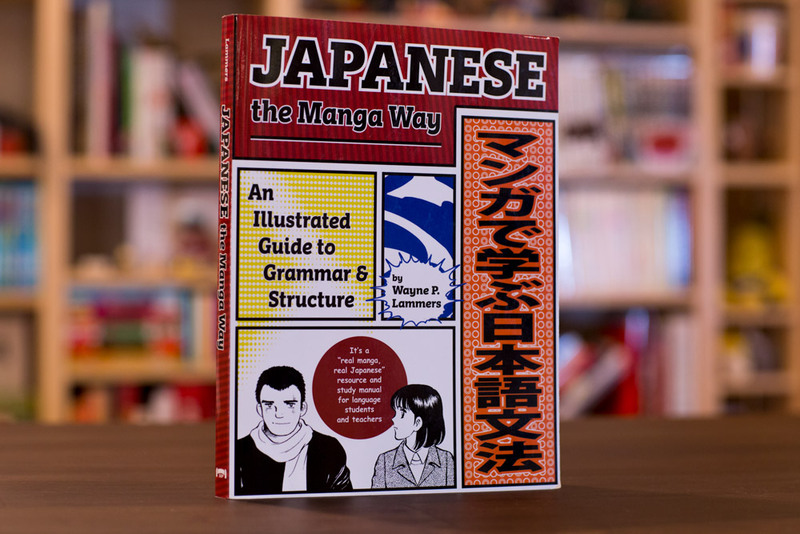 In 493 lessons, the book introduces bite-size grammar explanations with accompanying examples from real manga. The explanations are accessible and the manga reinforces the target concepts. You shouldn't make this your primary study resource, but instead use it to get alternate explanations for grammar points you're learning in a more formal textbook. For more, read our full review. After reading through those reviews, it might be tough to parse all the information you've been handed. That's why we added this easy-to-read, digestible table for your reference. Textbooks can only cover so much. They give you a solid foundation in Japanese, so you can go out into the wild with the tools to learn all the other little things that exist in the language and culture. These tools should consist of vocabulary, grammar, syntax, and some kanji too. Bottom line: textbooks are just the start. Some topics are so big or so complicated you need an entire book on just that one topic. This is where reference books come in. They can help you understand much more than textbooks and teachers. 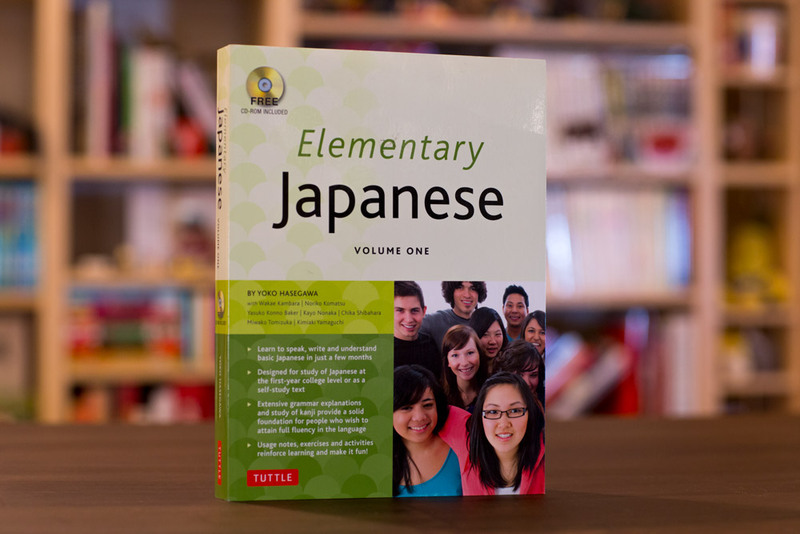 Below, we'll go over some we think you should use to supplement your Japanese learning. All sixty-nine particles are ordered by frequency, many of the context sentences provide two English translations for clarity, and there are helpful notes offering further explanation throughout the book. Particles are tough because we don't have them in English; they're difficult to define and seem to only supply context to sentences, not actual meaning. All About Particles attempts to show all of the different usages of all particles in Japanese with short explanations and supporting context sentences. All sixty-nine particles are ordered by frequency, many of the context sentences provide two English translations for clarity, and there are helpful notes offering further explanation throughout the book. There is also romaji under each Japanese sentence if you aren't familiar with the kanji. Because it uses example sentences to show context, it's more useful once you've made your way through at least one beginner Japanese textbook. However, it's also helpful as a reference to provide more context as you learn these particles in your textbook or class of choice. And the sentences don't go too far beyond the beginner level, so students should be able to understand the meanings and the context for each particle. When you're learning another language it's important to know how the grammar of your own language works first. You may use English just fine, but understanding it with terms like "predicate" and "direct object" and "causative" may not be so easy. 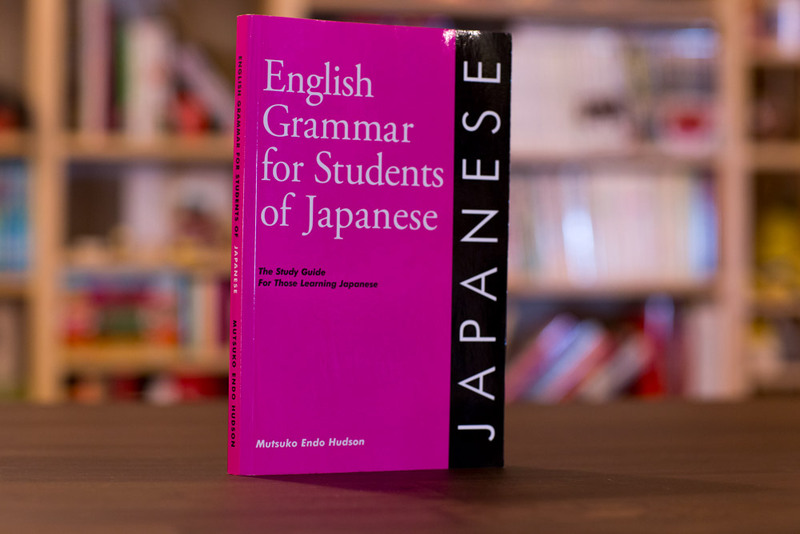 English Grammar for Students of Japanese is a reference book you can either read through in one sitting or use to look up specific explanations during your studies. There are explanations for each section of the English language and how they relate to Japanese. There are even example sentences, extra notes, as well as summaries and reviews with an answer key in the back of the book. If you're having trouble understanding Japanese grammar in relation to English because of linguistic terms or because you never learned it, this book helps bridge the gap. Unfortunately, it's not formatted well and there are a few English typos here and there. Another issue is all of the Japanese is presented in romaji. But it's a very useful reference if you haven't taken an English class in a while or if your native language is something else. This is a reference for kun'yomi homophones in Japanese: words that have the same reading, but slightly different kanji and meanings. While the Internet can be a good place to look up questions about kun'yomi homophones, sometimes it takes longer to find an answer online than it does with one, solid resource (especially if you're new to Japanese and you aren't comfortable typing it yet). 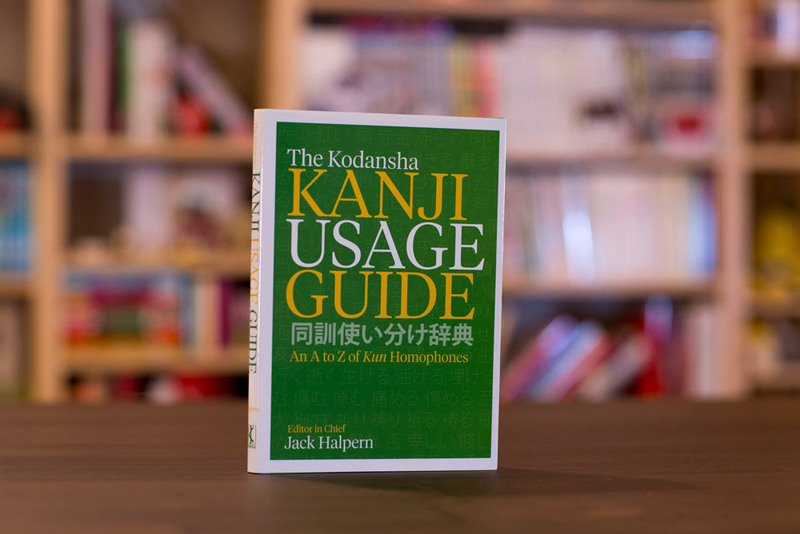 The Kodansha Kanji Usage Guide helps beginners understand the differences in meaning and usage for words that seem to be the same thing at first glance. Set up in English alphabetical order, this small book lists words by their readings. Each reading then has all possible spellings (with kanji) and definitions to help you learn the differences. This book is especially helpful for beginners learning kanji and focusing more on verbs. There are tons of verb homophones in Japanese and being able to tell the difference between all three のぼるs can be a huge help. Nothing makes you sound more like a native speaker than proper onomatopoeia use. One of the most difficult things about learning Japanese is onomatopoeia (those words that sound like the sounds they represent). But if you start learning them early, like say, at the beginner level, they can be much easier to recognize, understand, and put into your own language. Nothing makes you sound more like a native speaker than proper onomatopoeia use. This book has an essential introduction. It's not written by the author of the rest of the book, but it explains everything you need to know about Japanese onomatopoeia. The rest focuses on short dialogues between two people in certain scenarios. In these dialogues, new onomatopoeia are introduced in bold and afterwards they are defined in English with example sentences. The Japanese sentences have furigana followed by romaji and provide English translations at the end of each dialogue. There are also tons of notes to help explain context, colloquialisms, and set phrases. Every section has a fill-in-the-blank quiz at the end so you can practice the new onomatopoeia. Most textbooks and classrooms never cover onomatopoeia, so this is a great book to add to your list. You may not understand all of it, but the introduction is a must read. This handbook's goal is to teach new learners that verbs are much simpler in Japanese than in most other languages and because of that, you shouldn't be afraid! It dives into tenses, verb types, and conjugations, providing a solid foundation for verb usage in Japanese. And it reads more like a verb-focused textbook than a typical supplement. Once you learn basic types of verbs, the book goes straight into teaching conjugations. Each of these conjugations is presented with "sentence patterns" they're commonly used with. Thanks to these patterns, the book covers far more grammar than even some beginner textbooks. Each sentence is in romaji, then Japanese (without furigana), and finally English. At the end of each conjugation section is a practice section where you can use what you've learned. One thing to remember is most of the content in The Handbook of Japanese Verbs will be taught (or at least, should be) in your textbook of choice. While you shouldn't replace the content there with this book, it can be used as a supplement, especially the practice sentences. Also, some of the language used is difficult to understand if you aren't familiar with English grammatical terms, but the sentences and practice sections don't require that knowledge. The Handbook of Japanese Adjectives and Adverbs is very much the same as The Handbook of Japanese Verbs, in that it's formatted the same way and written by the same author. While the book calls itself a "dictionary," it's much more like a textbook that teaches grammar through adjectives and adverbs. This book is a two-in-one, with the first half dedicated to adjectives and the second to adverbs. Adjectives focus on conjugations plus grammar, which is especially important when learning from English, which doesn't conjugate adjectives. Adverbs focus on grammar usage (since they don't conjugate), making this even more of a textbook-type grammar resource than a typical "dictionary." It probably won't cover the same content as your textbook in the way the verb handbook does, but it has the same formatting, style, and tone of voice. It assumes you know everything about English grammar, but it has tons of example sentence and practice sections—making it a great beginner resource to solidify your adjective and adverb knowledge. Sometimes you just need more. You need mountains of reference information to answer a specific question or problem you're facing in your Japanese studies. That's where dictionaries come in. Below are the books we recommend for looking up words, grammar, particles, onomatopoeia, and more. 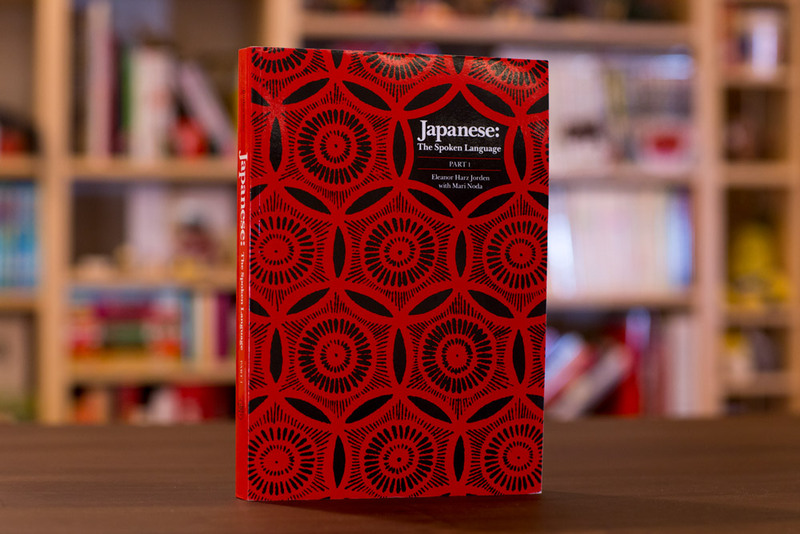 This is an absolute must have for every single person learning Japanese, period. 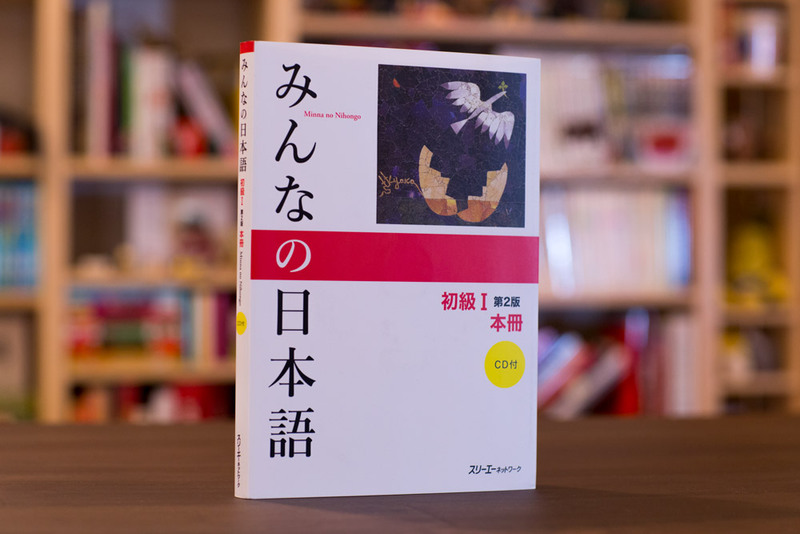 The Dictionaries of Japanese Grammar are the most recommended books from the Tofugu staff to learners of Japanese. There are three total, but the first book is a must have for all students, no matter what method they're using to study. 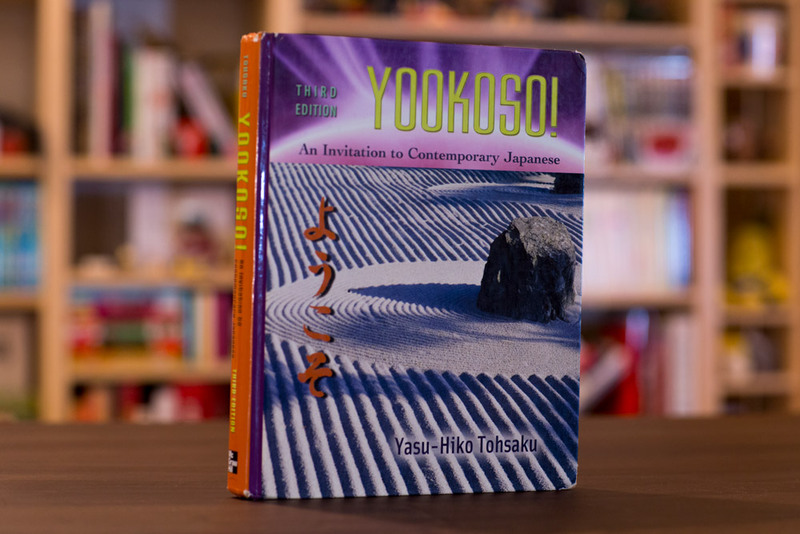 As Koichi said in his review of all three, "No single resource (nor any combination of webpages and resources) even comes close to what the Dictionary of Japanese Grammar book series has to offer." While these are "dictionaries," they hold much more information than most people would expect from a typical dictionary. And the Basic book contains more grammar than most beginner textbooks and classes cover. The dictionaries are in English alphabetical order, for easy reading. Each grammar point is a nice bright red and there is normal dictionary information like parts of speech, English meaning, and so much more. For one thing, each grammar point is marked with a little number afterward, because the series covers every single possible meaning and usage of that one word or phrase. Beneath the entries are "key sentences" which are in Japanese (sometimes with furigana), with romaji and English translations underneath and marking of important parts of speech. Formations (usually common collocations), example sentences, notes, and more follow. For more, check out our review! 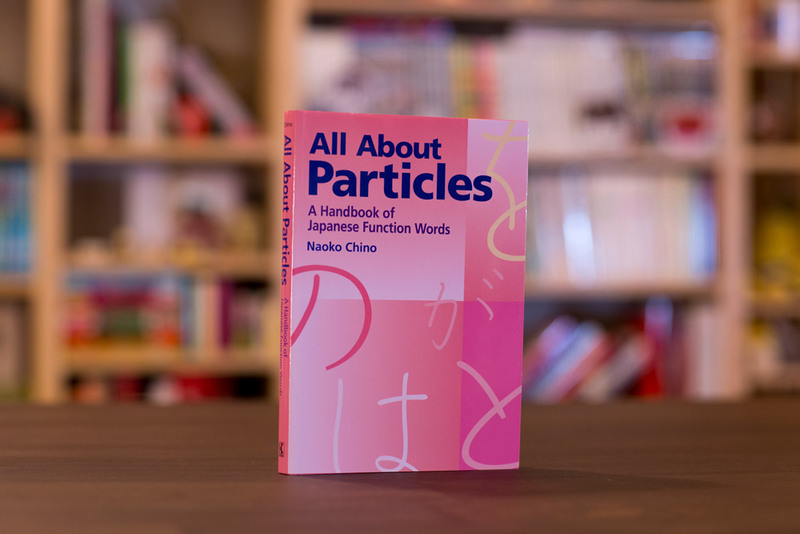 A good supplement, or even replacement, for All About Particles, this dictionary is like a mix between that and the Dictionaries of Japanese Grammar with a particle focus. It's like a hybrid between a dictionary and a grammar resource, so you not only know what particles mean, but how to use them too. 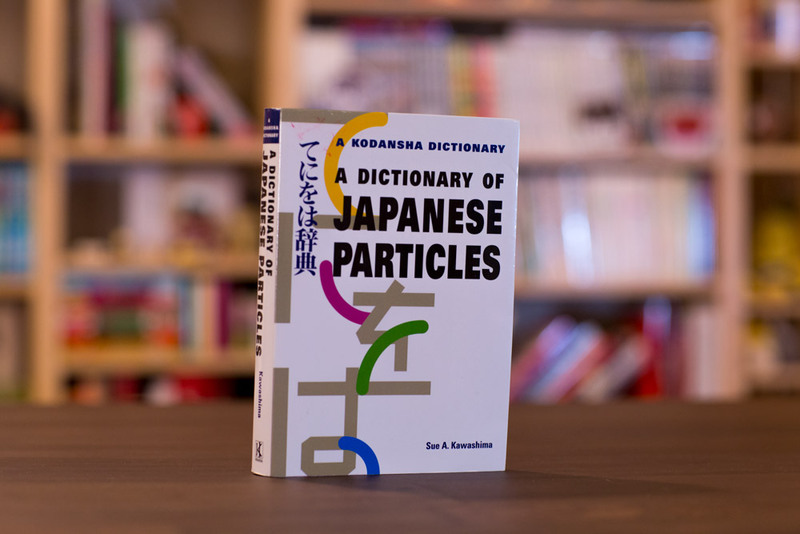 A Dictionary of Japanese Particles is organized in English alphabetical order and contains multiple definitions and usage explanations for each entry. There are example sentences in Japanese with furigana, romaji, and English translations. There are pictures and even comparisons of different particles, when they help add clarity. Instead of giving a one-to-one meaning, each particle is given an English approximation so you're understanding the original Japanese meaning, instead of simply translating it to English in your head. This book works well for beginners up through the intermediate level. It doesn't cover all particles in Japanese, but it does extend into higher levels of particle learning than most beginner textbooks. While it doesn't go into usage like Jazz Up Your Japanese, this dictionary of onomatopoeia is a great resource for beginners to learn new words with pictures. 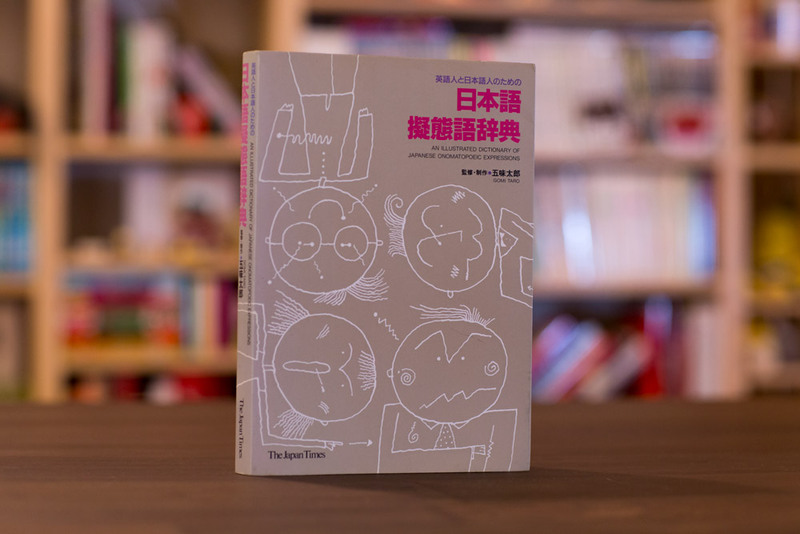 Other than a short bilingual (Japanese-English side-by-side) explanation of its contents and a few general concepts, the book is limited to drawings with onomatopoeia captions. Each illustration has the onomatopoeia in romaji underneath. Next to that are the possible pronunciations (A, B, or C types, explained in the introduction). There is also a short English definition and explanation of the word, the Japanese word, and a Japanese explanation. And if a particular word comes from a verb, the verb is listed with a small star indicator as well. Good for beginners and great for intermediates, this book helps you learn fun words in fun ways, taking away all the seriousness of a typical dictionary or reference book. 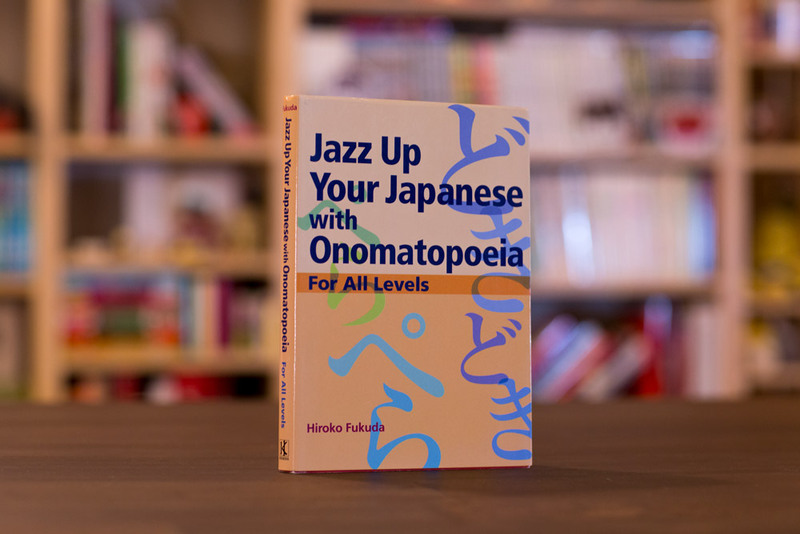 It also requires much less knowledge to start than Jazz Up Your Japanese. Though there is a lack of usage and grammar information, it is still a helpful supplement for beginners to learn these mimetic words. If you're a beginner who wants a nice hardcover dictionary by your side in real life, this is a solid pick. This little brick is a great starter dictionary for any beginner and it's actually the first dictionary Kristen ever bought when she started taking Japanese classes. While it doesn't contain every word in the Japanese language (but what dictionary does? ), it has most of the words a beginner will need to look up. It's organized in the common Japanese あいうえお order (also known as gojūon 五十音) and entries are written in kana with the kanji presented after. Each word has an English definition and some have additional explanations, collocations, or sentences when necessary. Another feature: every single kanji character has furigana. While we don't usually support furigana, when you're trying to look something up, the last thing you need is another thing to look up. This dictionary makes it easy to get the information you need without too much extra thrown in your face. 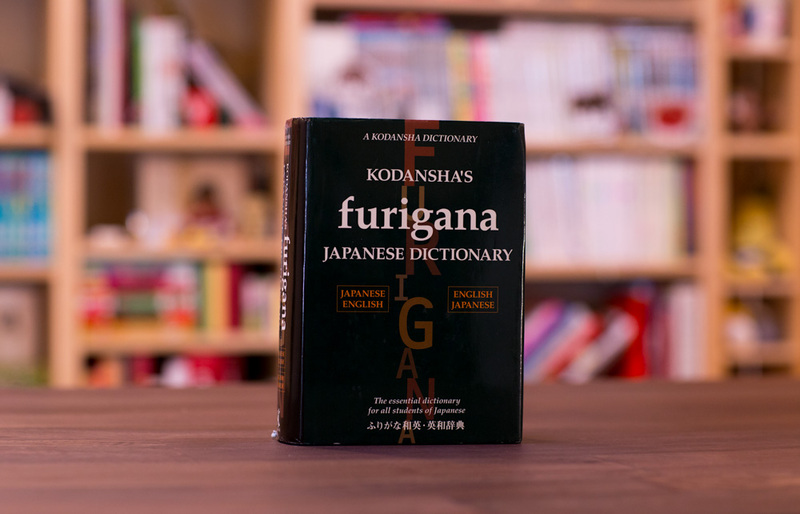 Because it's organized by kana and has furigana throughout, this dictionary can be used by anyone trying to look up a Japanese word, as long as they know hiragana and katakana. If you're a beginner who wants a nice hardcover dictionary by your side in real life, this is a solid pick. Hopefully this list gets you close to a decision on a go-to textbook and some reference books. After all, choosing the exact right perfect 100% best book is not nearly as important as just getting started. The sooner you start a study routine, the sooner you'll be using your accumulated knowledge, no matter how hodgepodge, to learn more and more advanced concepts. As long as you get a book on this list and stick to it, you'll achieve your dream of Japanese language proficiency.